IT'S ACCESSIBLE | "IT'S ACCESSIBLE Provide free website development and hosting for the non profit community for free and Equip the Physically and Mentally Impaired"
We believe that everyone has a purpose in the community especially people with physical disabilities, our mission is to motivate and equip the disabled students by helping them learn anything anywhere. Our mission is to bring inclusion and belonging for people with disabilities. Join us in our learning journey as we share and explore evidence-based practices for including learners with different abilities, qualities and needs. There is a multitude of different screen sizes across phones, “phablets”, tablets, desktops, game consoles, TVs, even wearables. Screen sizes will always be changing, so it’s important that your site can adapt to any screen size. We are seeking skilled disabled and able bodied volunteers via Volunteer Auckland to enable disabled by coaching them through video tutorials. How to repeat read aloud is easy. There are many methods to repeat read aloud. 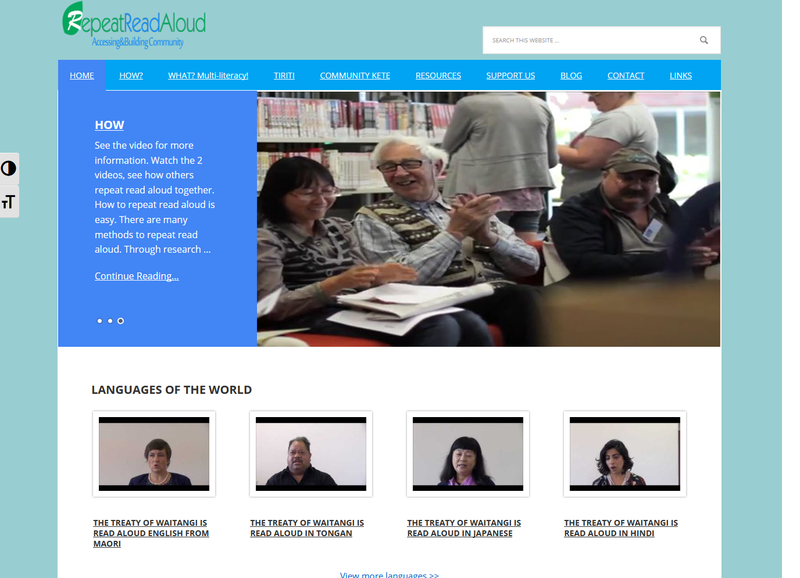 Through research based on evidence based models, and through working with different language community groups, the New Zealand Culture Company Limited promotes a most effective way to repeat read aloud. This 1,2,3 method to repeat read aloud is outlined in the manuals, translated into different languages page by page and published on this webpage. The 1,2,3 step method is described in detail in these manuals. IT'S ACCESSIBLE have been hosting and maintaining Repeat Read Aloud and the New Zealand Culture Company since before they registered as a charitable trust. Andrew Howden has been in the boatbuilding industry for over 30 years. From building small craft in his backyard, he went on to open Waikato Yacht and Launch Builders, where he established himself as a trustworthy and reputable boatbuilder. He is known for his outstanding workmanship, impeccable eye for detail, and his passion for ‘making the dream come to life’. IT'S ACCESSIBLE have been hosting, developing Howard Boats Builders since before they registered as a charitable trust. 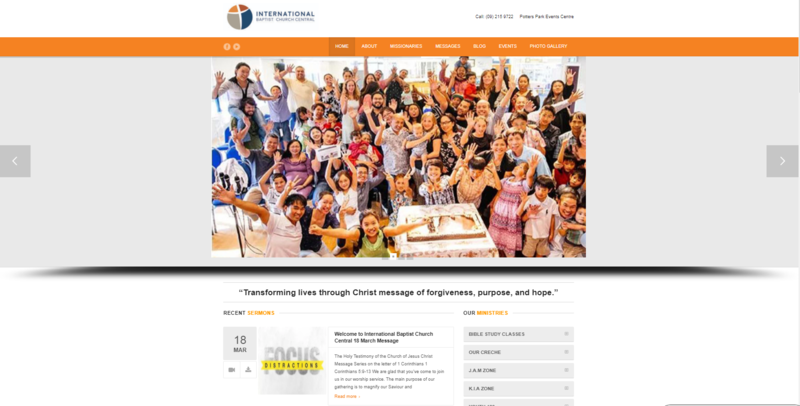 International Baptist Church has over 20 nationalities in its membership with an average attendance of 300. As the result of the growing congregation, in April 2010, International Baptist Church extended its ministry to Auckland city central. Led by Pastor Erwin Santoso and 14 individual members, IBC began a new extension work in Balmoral, Auckland. 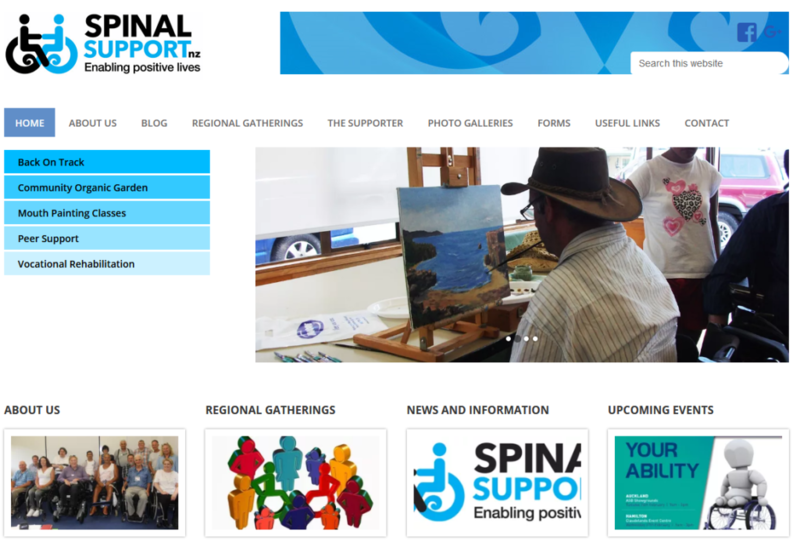 Spinal Support NZ originally TASC was founded in 1991 by a group of high level spinal injured people as a support group, which has gradually evolved into the present organization. …maintained the website over the years and brought in many improvements...We are very happy to support him in his application to you to help him in his worthy venture. Dean is a C3 Tetraplegic married with 2 daughters, he hopes his serving God he has done website design using Adobe DreamWeaver CS4 but has moved to Wordpress building website using Genesis framework and childthemes for accessibility purposes. Mike is married with six children and enjoys being part of his church community. He has worked in the website and online marketing industry for 8 years as a sales consultant and project manager. Mike is currently working on a new online business venture. Tom is an IT professional with a wide range of technical skills and strong problem-solving skill. He has worked in large professional style projects in several roles as a programmer and an ICT business analyst. "I want to help people with disabilities with my IT knowledge and skills"
"Experienced Front-End Developer with Pixel perfect design development with Cross-Browser compatibility. Also proficient in Email- Newsletter Template development." I am working at a company as a web developer. I graduate from Unitec and my major is in computing. I love programming and I like learning the latest technology in my free time. And I hope I can help many people as a volunteer. Steven has a Master of Computer and Information Sciences with honours from AUT. Steven has a strong interest in web development and is keen to use his skills to help others. Excellent in Laptop/Desktop, Printer and Mobile Phone both hardware and software problem fix.